We are engineering solution experts. We have over 2 decades of experience developing new products, process development, program management, and facilities start up. Our focus is with the Medical, Automotive and Telecommunication industries. The staff maintains ties with experts in these industries to stay abreast of industry changes. 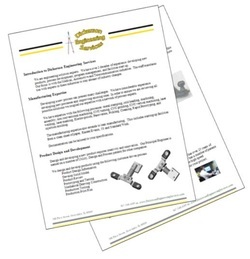 Download our factsheet to learn more about the services we offer.